You may often hear the words ‘HER-2 status’ on diagnosis, staging and the planning for treatment of breast cancer. The HER-2 (Her2/neu, c-erb-2 or erb-2) is a gene that produces a protein which acts as a receptor on the surface of cells. These receptors are very sensitive to hormonal/chemical ‘growth’ signals in the body and are therefore growth factors. If the cancer tumor cells have more of these HER2 proteins than normal, that means those cells are receiving more ‘messages’ to grow and divide than normal cells. More specifically, HER-2/ neu, also known as c- erb B-2 (HER-2), is a a proto-oncogene located on chromosome 17. This gene is amplified and thus the protein (HER-2) is over-expressed in around 20% to 25% of invasive breast cancers. I just want to let you know that I have a newer version of this page with more up-to-date information on HER2 Status Indicators for Breast Cancer. However, this page has some great information as well. The cancer cells in the above image that are reddish brown show lots of HER-2. Sometimes medics use the phrase ‘hormone receptor status’ along with terms like ‘protein status’ and HER-2 status. These are all related terms because the presence of certain proteins is what makes a tumor more receptive to certain hormones. Some hormones affect growth rates, such as the hormones attracted by HER-2 proteins. However, other hormones might suppress growth or actually aid with healing and blood flow. The ‘hormone receptor status’ of a tumor is a composite of all the different proteins that might influence the behaviour of a particular tumor in a particular patient. So, the HER-2 status is a small subset of the overall hormonal picture, that specifically rates to the probable growth rate of the new cancer cells. means more progressive regional and distant metastases. So, breast cancers presenting with a higher-than-average or ‘positive’ HER-2 status will almost certainly be be more aggressive. The most common way to measure the HER-2 status of a potential breast cancer tumor is through an immunohistochemisty (IHC) test. This will likely be part of an overall histological/pathological evaluation of the tumor. Various tumor ‘markers’, including the HER-2 status indicators, give the pathologist a characterization of the tumor. This helps to predict the future behavior and probable responses, of the tumor to different types of treatments. The immunohistochemistry test of the HER-2 status measures the ‘over-expression’ of a particular protein, and is typically given a score of 0 to +3. 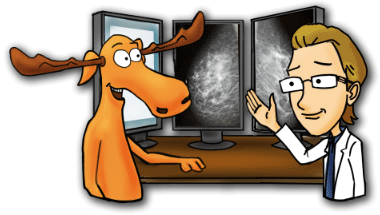 The pathologist actually counts the number of receptors on the surface of the cancer cells. Indeed, the pathologist can see the cells microscopically because they are receptive to certain protein-based dyes and change color. Scores of 0 and +1 are indicative of a negative status (HER-), whilst +2 and +3 are HER-2 positive (HER+). There is no in between state. The other method of measuring the HER-2 status of a breast tumor is by fluorescent in situ hybridization (FISH). So, FISH measures the amplification of the HER-2 gene (the number of copies of the HER-2 gene present in a cancer cell). Like the immunohistochestry test, the results of the FISH test are either positive or negative. Indeed, specialists consider the hormone-receptor status of a tumor to be more of a predictive factor rather than a prognostic factor. It helps determine what you are up against, and how best to treat it. However, research shows that the outlook for a particular breast cancer is more likely to be influenced by the histological type and grade of the breast cancer tumor at the time of discovery. Also, whether or not there is lymphatic involvement is another important factor, and not the hormone receptor status. It is true, however, that breast cancer tumors with a positive hormone receptor status have a more indolent course than do hormone receptor-negative tumors. Indolent is kind of a strange term to use, but it means that a tumor is less responsive or ‘lazy’ in response to treatment than hormone negative receptor status tumors. Some kind of extra intervention or boost is often necessary to really get a positive healing response from the cancer. However, the good news is that certain kinds of hormone-receptor positive tumors are actually more responsive to endocrine therapy. So, there is a positive aspect to this as well. In fact there is often a kind of inverse relationship between the HER-2 hormone receptor status, and the ER (estrogen receptor) and PR (progesterone receptor) status of a tumor. Higher ER and PR hormone receptor levels in a tumor usually have a negative HER-2 status and a good outlook. However, breast cancers with a high or positive HER-2 expression will tend to have a low expression of ER and PR, and also a poorer prognosis. Breast cancer tumors with a positive HER-2 status are usually fast growing and aggressive. There tends to be a higher level of HER-2 expression in higher grade tumors than in lower grade tumors. HER-2 receptors and also epidermal growth factor receptors are stimulants to cancer cell growth. Other hormonal factors of a tumor can also make the cancer more aggressive. Some breast cancer tumors will have a decrease in the level of tumor-suppressor genes, such as p53, which make invasion beyond the breast ducts more likely. A decrease in the levels of metastasis-suppressor genes such as nm23 also make spread to the lymph nodes and other areas of the body more likely. There is also some evidence that HER-2 protein levels are significantly higher at the DCIS stage than in invasive-status breast cancers. 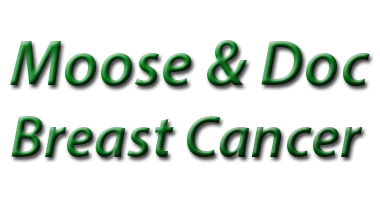 The incidence of DCIS with HER-2 positivity ranges from about 24% to 38% in various studies. Indeed, this does appear to be a slightly higher rate than for invasive breast carcinoma. This suggests that HER-2 signalling might be an important factor in the early stages of breast tumorigenesis. Of interest, the rate of HER-2 overexpression in colloid (mucinous) breast cancer is actually extremely low. Other breast cancers whereby the HER-2 expression is also very low in tubular and medullary breast carcinoma. Treating doctors will usually offer women with HER-2 positive breast treatment with Trastuzumab (Herceptin Herceptin). Indeed, this is the only therapy that the US Food and Drug Administration (FDA) approves for women with breast cancer tumors over-expressing HER-2 proteins. It is often the case that women with HER2 breast cancer tumors do not respond to Tamoxifen (chemical/hormonal) therapy. But, the use of trastuzumab in combination with chemotherapy has led to longer survival rates for women with metastatic HER-2 postive breast carcinomas. The addition of herceptin when HER-2 is positive gives an amazing boost to the response and cure rates. Everything till now was bleak. Suddenly, you say BOOST CURE RATES. Correct. Herceptin is also widely in use now these days. Herceptin is not really chemotherapy. Rather, it is a monoclonal antibody. Biological Therapy is the term that refers to the use of cloned antibodies in cancer treatments. Specifically, trastuzumab binds to the extracellular portion of the HER-2 trans-membrane receptor. Indeed Trastuzumab was initially prescribed to patients with advanced, relapsed breast cancer with over-expression of the HER-2 protein. Physicians will also sometimes employ hormonal therapy, such as anthracylines, and taxanes, to minimize the growth effect of HER-2 positive breast cancers. Since the rate of local recurrence is typically quite high with HER-2 postive tumors, radiation therapy is sometimes useful in addition to trastuzumab-based neoadjuvant chemotherapy, and generally with good effect. Many studies demonstrate that breast cancers with an over-expression of HER-2 have a poorer prognosis. It is difficult however to isolate just the HER-2 aspect of the tumor as the specific cause of this poorer outlook. In addition, it is difficult, in general to find practical indications of just what a ‘negative prognosis’ actually means. However it is clear that a positive HER-2 over-expression does correspond to an increase in the likelihood for lymph node metastasis. HER-2 over-expression can also predict a poorer response to Taximophen (hormonal/chemical therapy), though researchers are working on ways to combat this. What an over-expression of HER-2 really tends to accurately predict is the time to relapse (the disease free interval) and consequently the overall survival time. Some older studies show that the median survival time for patients with HER-2 positive breast cancer is reduced by just over 50%. According to a 2013 Canadian scientific study, the overall 5 year survival rate of HER-2 positive breast cancer is 88.6%. Furthermore, the relapse free survival rate for 5 years is 79.4%. Obviously, expect these figures to be a little higher today. There are of course many factors that contribute to survival of breast cancer. However, some older studies show that only about 60% of patients with HER-2 positive status invasive breast cancer are disease free after 10 years. In addition about 65% survive overall (approx. 20 years or more). And, a greater number of HER-2 postive patients succumb to the illness during the first five years than those who are negative for HER-2 over-expression. At the same time, all other factors assumed to be equal, patients with negative HER-2 status tumors tend to be disease free at a rate of 75% over 10 years and have a slightly higher overall survival rate. From this we can informally estimate that women with breast cancer which overexpresses HER-2 are about 10% more likely to have significant difficulties and ultimately succumb to the disease within the first five years, than those who do not. Because some of the Incidence and Prognosis rates are a little old now check out our brand new Index of Posts on Survival Rates. What are the treatment options for HER2 positive breast cancer? Treatments that specifically target HER2 are very effective. These treatments are so effective that the prognosis for HER2 positive breast cancer is actually quite good. In addition, there are several new medications that also target HER2. Don’t forget, treatment and research is developing all the time. Why is HER2 status testing done? HER2 status testing is done to find out the amount of HER2 produced by a tumor. HER2 status testing can vary across Canada. It is mostly done with breast cancer tumors but may also be done with advanced stomach cancers as well. HER2 status testing for breast cancer may be done on the main (primary) breast cancer tumor at the time of diagnosis. HER2 status may be done in combination with hormone receptor status testing or if the breast cancer recurs or metastasizes. How is HER2 testing done? A HER2 blood test is also available, but it is not a substitute for tissue testing. Results of HER2 status testing are reported as HER2 positive – the cancer cells are overexpressing HER2 OR HER2 negative – the cancer cells are not overexpressing HER2. HER2 positive cancers are more aggressive and tend to grow and spread more quickly than cancers with a normal amount of HER2. They are often associated with a higher tumor grade. HER2 over-expression usually does not change throughout the course of the disease. What are some other important HER2 status information? About 20% to 30% of invasive breast cancers over-express HER2, and breast cancer cells that have BRCA1 mutations often do not over-express HER2. HER2 positive breast cancers often contain lower levels of estrogen and progesterone receptors than HER2 negative tumors. T herefore, women with HER2 positive breast cancer may benefit less from certain types of hormonal therapy. Also, HER2 positive tumors respond best to certain types of chemotherapy drugs, in combination with trastuzumab. Rilke F, Colnaghi MI, Cascinelli N, et al. Prognostic significance of HER-2/neu expression in breast cancer and its relationship to other prognostic factors. Int J Cancer. 1991;49:44-49. Lal, P., Tan, LK., Bhen, B., Correlation of HER-2 Status With Estrogen and Progesterone Receptors and Histologic Features in 3,655 Invasive Breast Carcinomas. American Journal of Clinical Pathology 2005;123(4):541-546. Tsuda H, Tsugane S, Fukutomi T, et al. Prognostic factors for recurrent breast cancer: univariate and multivariate analyses including histologic grade and amplification of the c-erbB-2 proto-oncogene. Jpn J Clin Oncol. 1992;22:244-249. Taucher P, Rudas M, Mader RM, et al. Do we need HER-2/neu testing for all patients with primary breast carcinoma? Cancer. 2003;98:2547-2553. Hoff ER, Tubbs RR, Myles JL, et al. HER2/neu amplification in breast cancer: stratification by tumor type and grade. Am J Clin Pathol. 2002;117:916-921. Slamon DJ, Clark GM, Wong SG, et al. Human breast cancer: correlation of relapse and survival with amplification of the HER-2/neu oncogene. Science. 1987;235:177-182. Seidman AD, Fornier M, Esteva FJ, et al. Weekly trastuzumab and paclitaxel therapy for metastatic breast cancer with analysis of efficacy by HER-2 immunophenotype and gene amplification. J Clin Oncol. 2001;19:2587-2595. Ravdin PM, Chamness GC. The c-erbB-2 proto-oncogene as a prognostic and predictive marker in breast cancer: a paradigm for the development of other macromolecular markers: a review. Gene. 1995;159:19-27. Porter PL, Garcia R, Moe R, et al. C-erbB-2 oncogene protein in in situ and invasive lobular breast neoplasia. Cancer. 1991;68:331-334. Zafrani B, Aubriot MH, Mouret E, et al. High sensitivity and specificity of immunohistochemistry for the detection of hormone receptors in breast carcinoma: comparison with biochemical determination in a prospective study of 793 cases. Histopathology. 2000;37:536-545. DiGiovanna MP, Chu P, Davison TL, Howe CL, Carter D, Claus EB, Stern DF. Active signaling by HER-2/neu in a subpopulation of HER-2/neu-overexpressing ductal carcinoma in situ: clinicopathological correlates. Cancer Res. 2002 Nov 15;62(22):6667-73. Ross JS, Slodkowska EA, Symmans WF, Pusztai L, Ravdin PM, Hortobagyi GN. The HER-2 receptor and breast cancer: ten years of targeted anti-HER-2 therapy and personalized medicine. Oncologist. 2009 Apr;14(4):320-68. Epub 2009 Apr 3. Gullick WJ, Love SB, Wright C et al. c-erbB-2 protein overexpression in breast cancer is a risk factor in patients with involved and uninvolved lymph nodes. Br J Cancer 1991;63:434–438. Jacquemier J, Penault-Llorca F, Viens P et al. Breast cancer response to adjuvant chemotherapy in correlation with erbB2 and p53 expression. Anticancer Res 1994;14:2773–2778. Allred DC, Clark GM, Tandon AK et al. HER-2/neu node-negative breast cancer: Prognostic significance of overexpression influenced by the presence of in situ carcinoma. J Clin Oncol 1992;10:599–605. Andrulis IL, Bull SB, Blackstein ME et al. neu/erbB-2 amplification identifies a poor-prognosis group of women with node-negative breast cancer. J Clin Oncol 1998;16:1340 –1349. Pich A, Margaria E, Chiusa L. Oncogenes and male breast carcinoma: c-erbB-2 and p53 coexpression predicts a poor survival. J Clin Oncol 2000;18:2948 –2956. Thomas, E., Berner, G., Prognostic and predictive implications of HER2 status for breast cancer patients. European Journal of Oncological Nursing. (March 2000) Volume 4, Supplement A, Pages 10-17. Hait, WN., The Prognostic and Predictive Values of ECD-HER-2 Clin Cancer Res. 2001 Sep;7(9):2601-4. Hamilton A, Piccart M: The contribution of molecular markers to the prediction of response in the treatment of breast cancer: a review of the literature on HER-2, p53 and BCL-2. Ann Oncol 2000 , 11:647-663.